I had been using Nars All-Day Luminous Weightless Foundation in the Punjab shade for over a year now. I loved the coverage that it provided and it was pretty light, never cakey. But, I was not exactly excited to be spending $50 just for foundation. 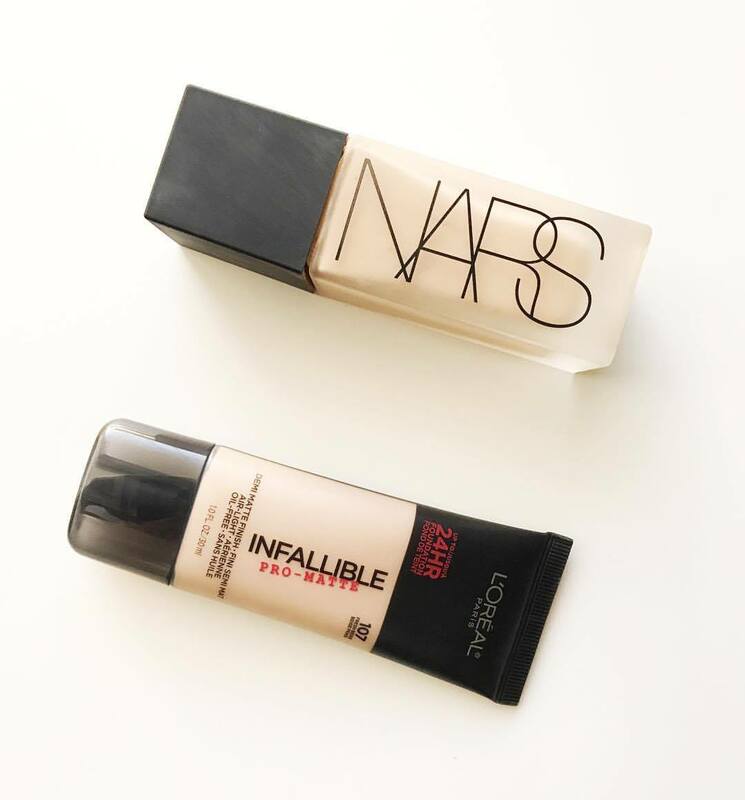 I researched a bit and found that many recommended using the drug-store equivalent of the coveted Nars product, Loreal Paris’ Infallible Pro Matte Foundation, for the same effect. So I hurried my makeup-loving bum to the closest Ulta Beauty to find it! I picked up shade 107 Fresh Beige. I almost went with 106, but it wasn’t just a tad bit too light, it was more yellow. None of that! I’ve been wearing my new, $10 foundation, and I have to say you guys, I am in love! Not only does it carry the same qualities as Nars, but it helps keep my skin from looking excessively oily throughout the day. Before, I would use oil blotting pads which would leave marks on my face. Even with setting spray, it’s as if the foundation was moving around. This foundation was definitely an awesome beauty find! I definitely recommend if you have oily skin like me! Posted in B E A U T YTagged beauty, beauty blog, beauty blogger, makeup, muaBookmark the permalink. I know! I absolutely love it! Thanks for checking out my page! Ooooh I haven’t tried the pro glow but now I’m curious! Thanks for the comment and for checking out my page!